Lice and Nits are pests that no one ever wants to deal with, but when faced with the problem people tend to seek out the easiest solution possible. In such cases, perhaps ironically, they find themselves throwing so much money at the problem simply because they are blinded by the fact that lice and nits are present in their lives and must be destroyed at all costs. 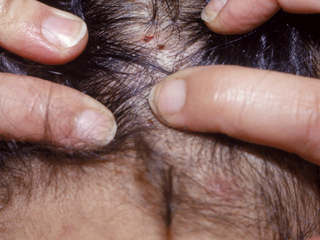 It is during cases like these that scammers, claiming to effectively treat lice, take full blatant advantage of people. Such companies charge an outrageous hourly fee – sometimes $60 to $120 per hour – with complicated orders saying the patient “needs” multiple treatments. They add insult to injury by forcing the patient to use remedies that are uncomfortable, potentially dangerous, and might not even work in the first place. Professional lice treatment can be done for a flat rate and in most cases within a single hour. And this lice treatment is guaranteed to be successful. The professional lice removal experts at Lice Busters charge a flat-rate of between $150-$200. Think about that for a moment: you get one simple treatment that is successful and all at a single, flat-rate. If ever you find lice have invaded your life, be sure to research carefully and know that Lice Busters are there to provide effective lice removal. A young girl was left fighting for her life with severe facial and head burns after a head lice shampoo burst into flames in her hair. Jodie O’Donoghue, now 10, is still having treatment following the incident back in 2007. She had the Prioderm product in her hair after her parents treated her and her 12-year-old sister Jasmine for a head lice outbreak. As she blew out a candle at the family home in Tipperary, Ireland, the lotion ignited, setting her hair, cheeks and ears alight. 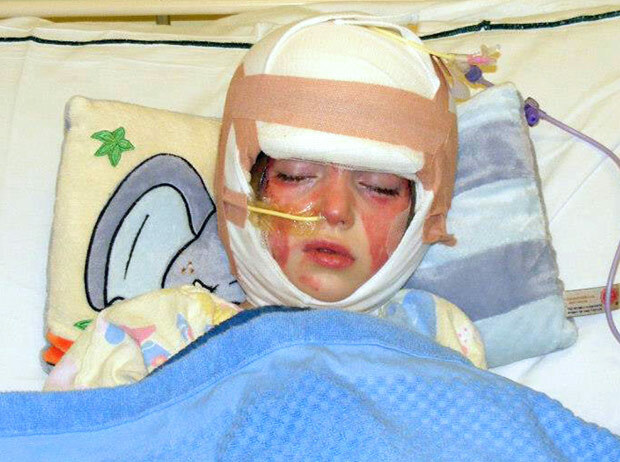 The flames spread from Jodie’s forehead to her hair, cheeks and ears – leaving her with terrible injuries. Her dad Phil, 45, frantically tried to put out the flames, eventually having to douse her head under water. Jodie was then rushed to hospital for specialist treatment. Her mum Nichola, 44, said: “Jodie was only seconds away from burning everything on her face. Any longer and she would have lost her eyes and her whole face would have been gone. 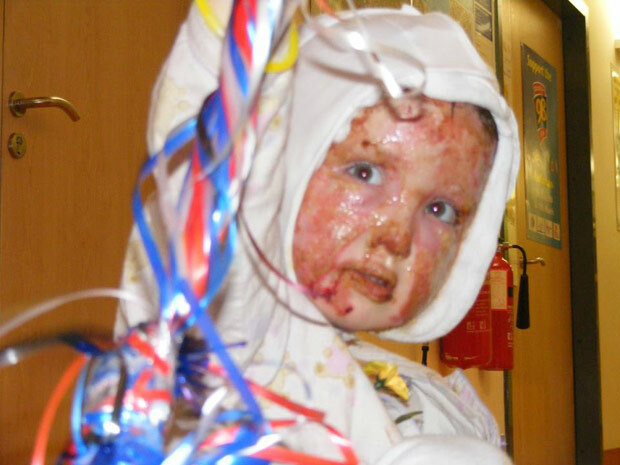 Jodie, from Tipperary, Ireland, was kept heavily sedated in hospital for six weeks while doctors carried out agonising treatment including skin grafts. Nichola said: “Her ears recovered but all of her cheeks and forehead had to have skin grafts. Nichola also revealed how Jodie suffered from taunts about her injured face. She said: “Originally her face looked like red candle wax. We couldn’t go into a shop without people staring, pointing and even shrieking. Every time we went out I felt like I was being stabbed in the heart. Jodie, who is now ten, is still receiving treatment six years after her ordeal in March 2007. And her mum said: “Only now has she been able to talk about what happened. “She couldn’t look at any pictures of her face. She has been through so much. It is so difficult for her to talk about it. It is not known what caused the fire to break out on Jodie’s face. But Nichola has started legal action against the makers of the Lice Shampoo– winning a production stop of Prioderm. Your child has been itching their head for some time now. You hope beyond all hope that all they have is an itchy scalp. But you soon realize that it is not an itchy scalp. All signs, unfortunately, point to the fact that head lice have found their way onto your child’s head and into your home. If you do not take care of this thoroughly and as quickly as possible, the little critters will make a semi-permanent place in your home and you are not going to want that. 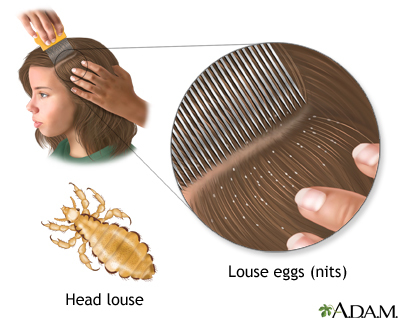 The treatment of head lice should be considered immediately upon the discovery there are lice present on you or any of your children. The main advantage of using the Lice Busters comb over other lice combs is its quality and design. For instance the comb is specially made in Germany featuring a stainless steel body and comes with a lifetime warranty. Additionally the teeth of the comb are placed very close together, it helps effectively comb away lice and their eggs. A single louse left behind can restart an infestation. The Lice Busters metal lice comb, amongst a host of other Head Lice Products, are available for sale and use in the event head lice have made themselves a part of your life. Getting rid of lice isn’t always the easiest process. Although lice treatment methods have been around for years, they continually improve as more knowledge is gained. So when it comes time to treat an outbreak in your school, office, or home, whom are you going to contact for quality head lice products and advice? Lice Busters should be at the top of your list because they are certainly at the top of everyone else’s. In fact, Lice Busters has gained plenty of media attention thanks to our line of effective lice products and treatment methods.That’s a lot of experience in the field, meaning you can rest assure that we know how to solve your lice problem quickly and effectively. Need more proof? Just check out all the positive testimonials on our website from real customers. Head Lice is an itchy problem that needs to be taken care of quickly. Why would anyone want to prolong the process of having head lice symptoms? With well-respected lice professionals on your side, you can get rid of lice in no time. 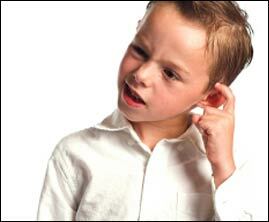 Head lice are a fairly common problem for parents with young children. The treatment is oftentimes a nuisance because of the fact that they lay up to 10 eggs (called nits) a day and these are approximately the size of a pin point. The nymphs are more of a problem in this case than the matured lice. But there are effective and safe ways to rid yourself and your child of these pests. Some lice products may contain unhealthy chemicals that are tough on your hair and scalp, but Lice Busters only provides all Natural Lice treatment. The lotions, prevention sprays, and hair thickener are all made with hypoallergenic ingredients and natural enzymes that target and trap the lice, making them easy to comb them out with a metal lice comb. Especially with children, you want to be using the most natural materials to take care of the problem but you still want it to work. Lice Busters have treated tens of thousands of children each year, for the last 20 years, proving the reliability of their products. They have a team of clinicians working to ensure the quality of the products as well, so all you get is the best of the best. Take a look at our website and get your lice treatment solution today. The stage of first contracting lice to the stage of having a full-blown lice infestation happens very quickly. It is generally hard to discover that you or your children have been exposed to the tiny insects until things have already become a problem. 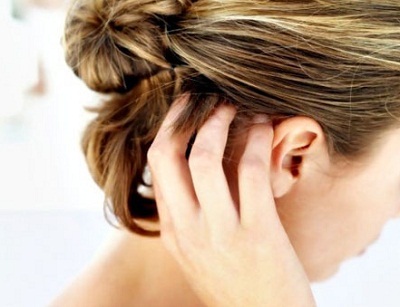 The initial signs of that problem are generally an extreme itchiness of the scalp but for many of us it is easy to write off the itchiness at first. We assume it could be dry skin or any number of other innocuous problems. In fact, simply writing this blog gives me some phantom itch in my scalp. The other Head Lice symptoms are a bit more troubling. Small red bumps begin to show up on the neck and shoulders. These are bites and they can very quickly become irritated, become crusty, or start to ooze puss. 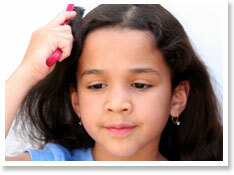 Thing about lice is you want to get rid of them as soon as possible to avoid these more extreme symptoms. The best way to get rid of head lice is with the sort of lice treatment currently available from the lice experts at Lice Busters.